SPX is still coiling around the key red line (Chart 1). Chart 2 tracks squiggles. 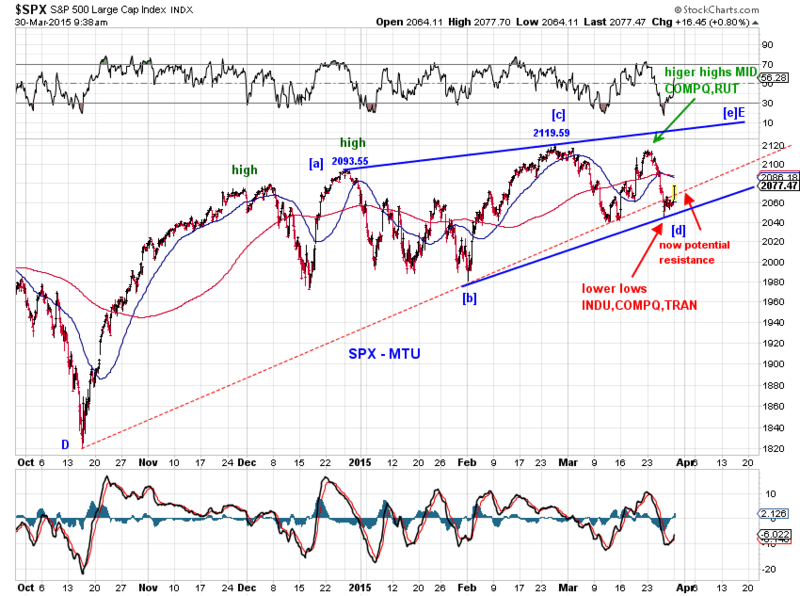 SPX probing the red potential support line (Chart 1). 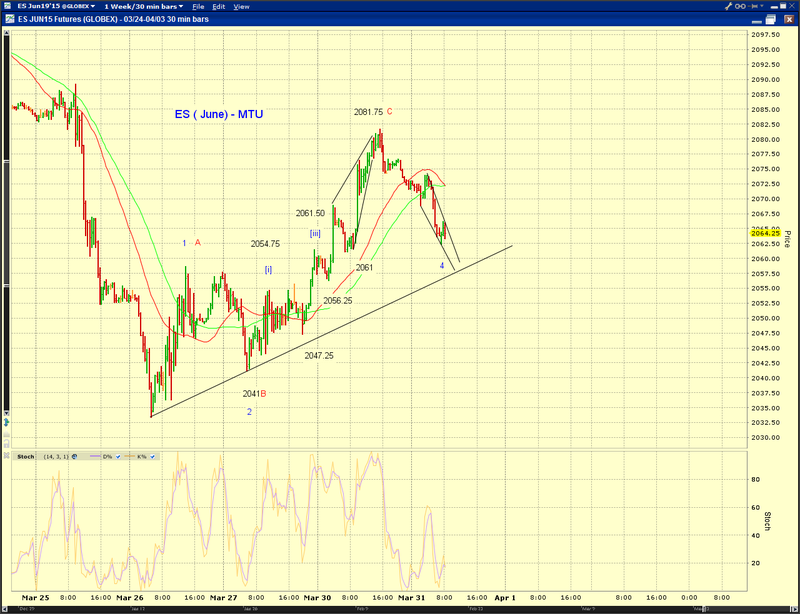 Chart 2 tracks squiggles, assuming support holds. Month end. 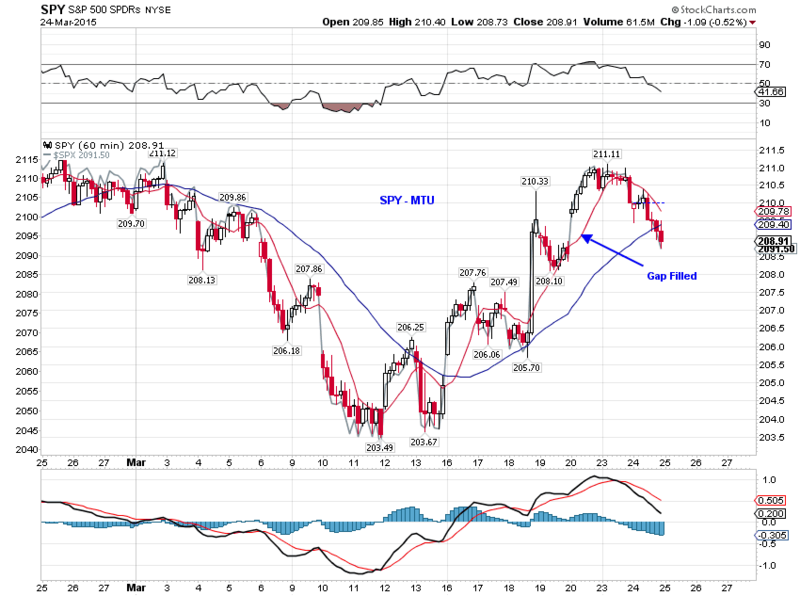 Quarter end. 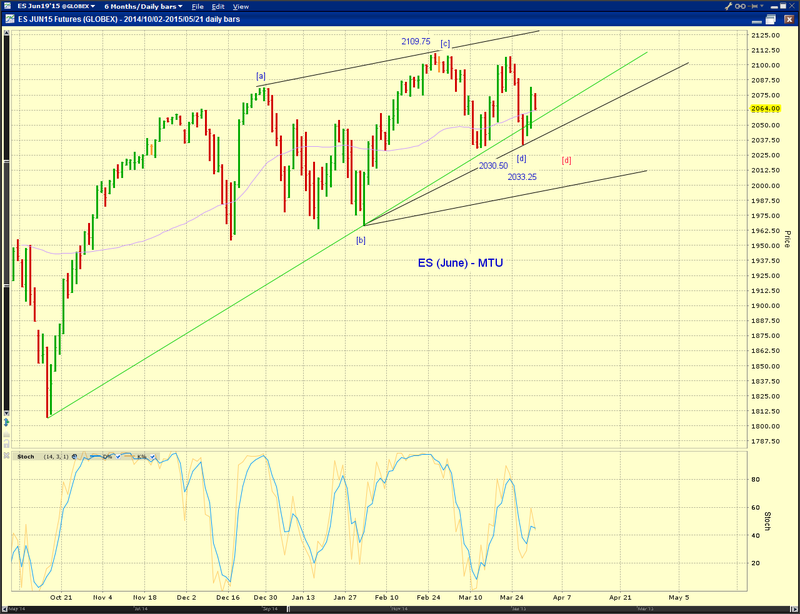 ES retesting the green potential support line (Chart 1). 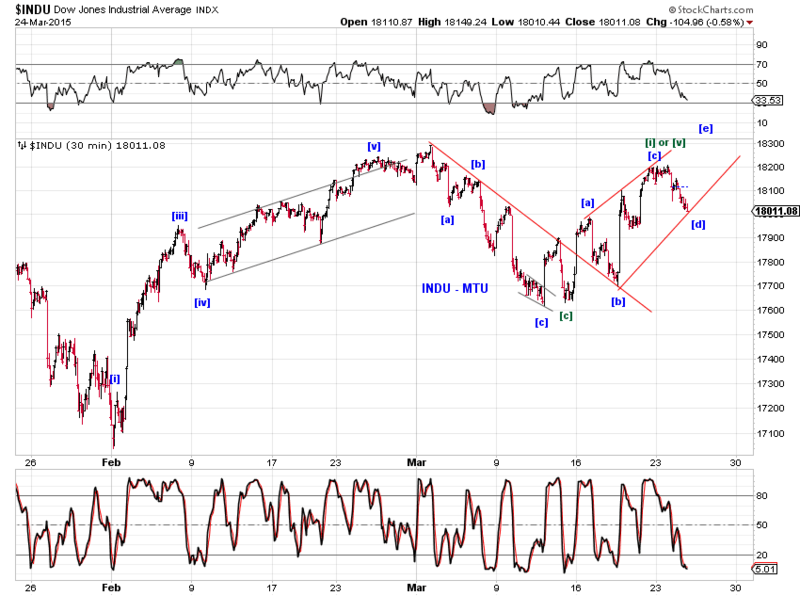 Tracking counts from the recent low in Chart 2. The overnight rally gapped SP500 cash index above the red resistance line. 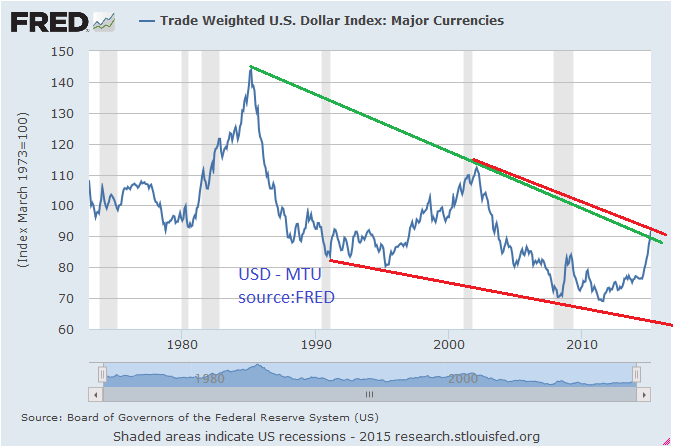 Let's see if it can hold. 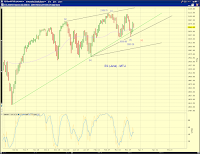 See chart and Monthly Outlook Update (3/27/15) for details. 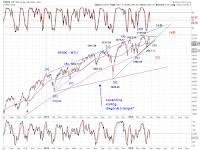 Several benchmark stock indexes (SP400, Nasdaq Composite, Russell2000) made new recovery highs in March while senior indexes (SP500 and the Dow) came very close but failed to do so. 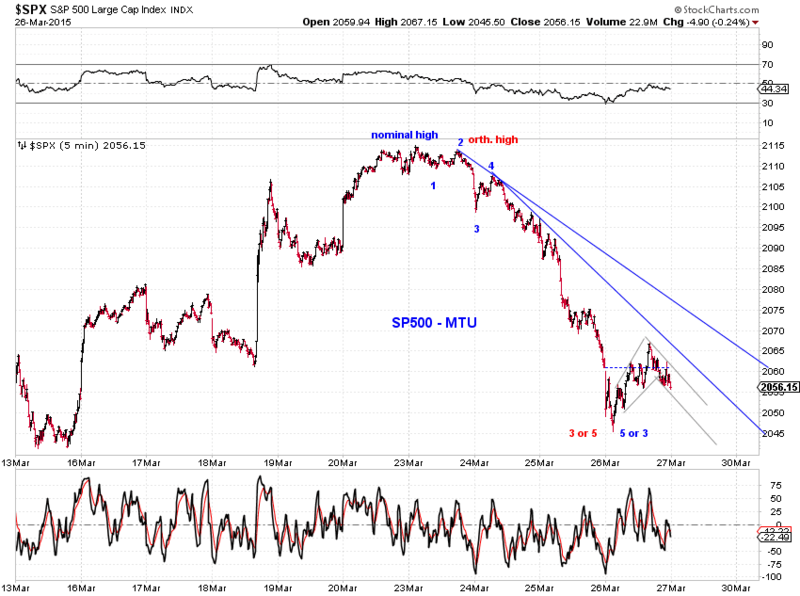 The subsequent sell-off into the month end has been swift and sizable and succeeded in breaching the March lows in the Dow, Nasdaq Composite and Transports. 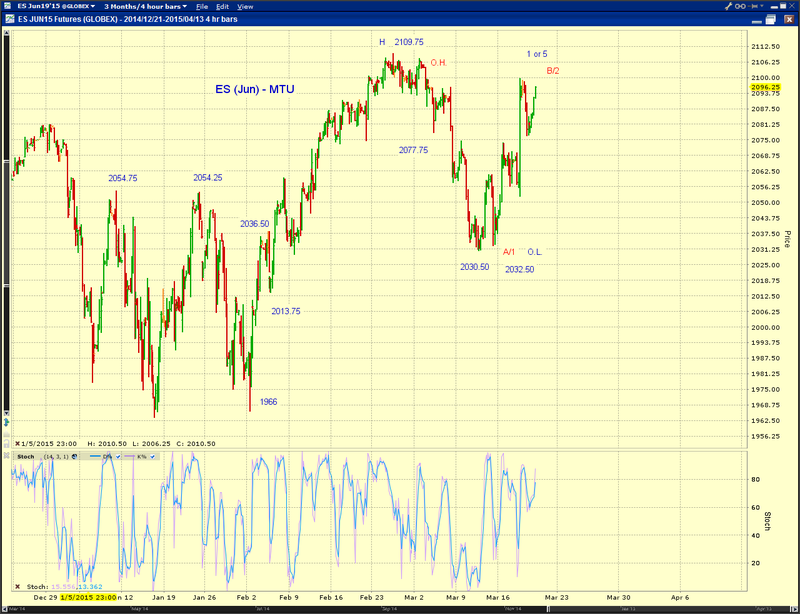 See Chart S1. 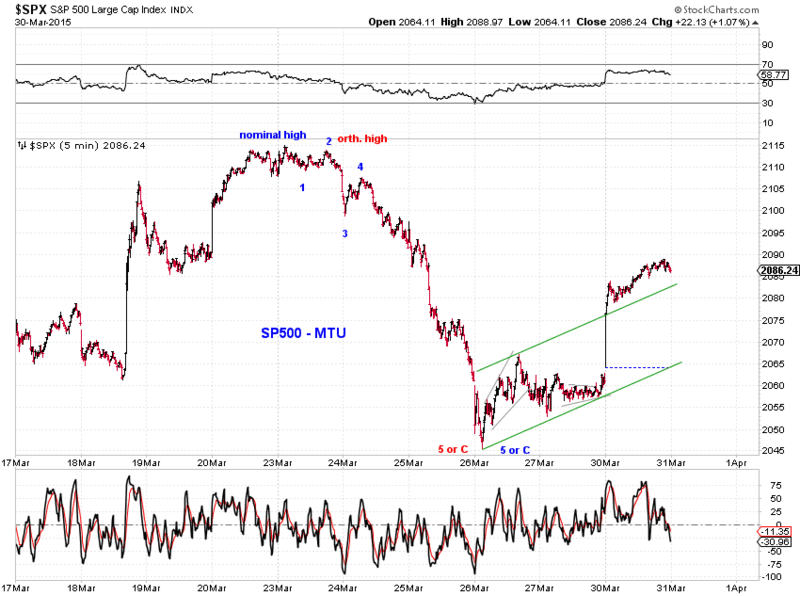 Price actions appear to favor the current sell-off completing a pullback rather than initiating a larger downtrend. 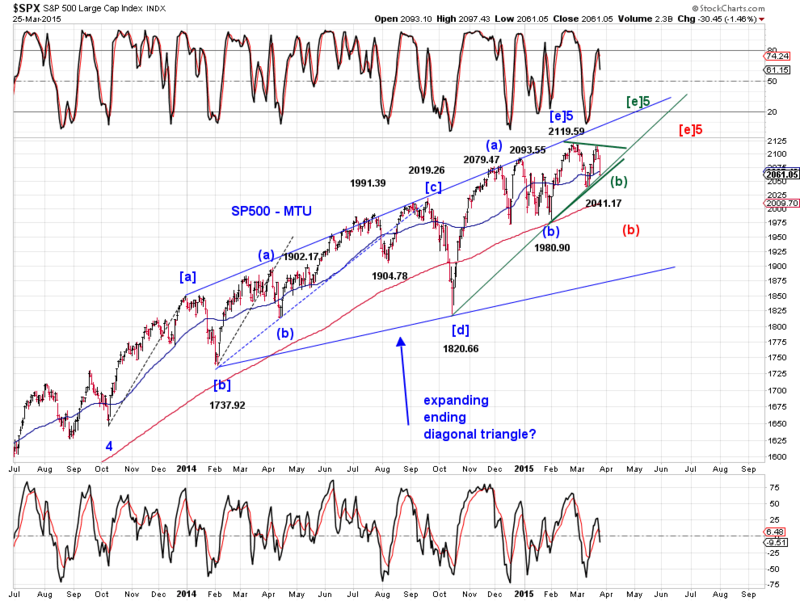 One possibility is that SP500 is completing wave [d]-down of a small contracting EDT since October 2014 (Chart S1 blue lines) in the context of a large expanding EDT since January 2014 (Chart S2 blue lines). 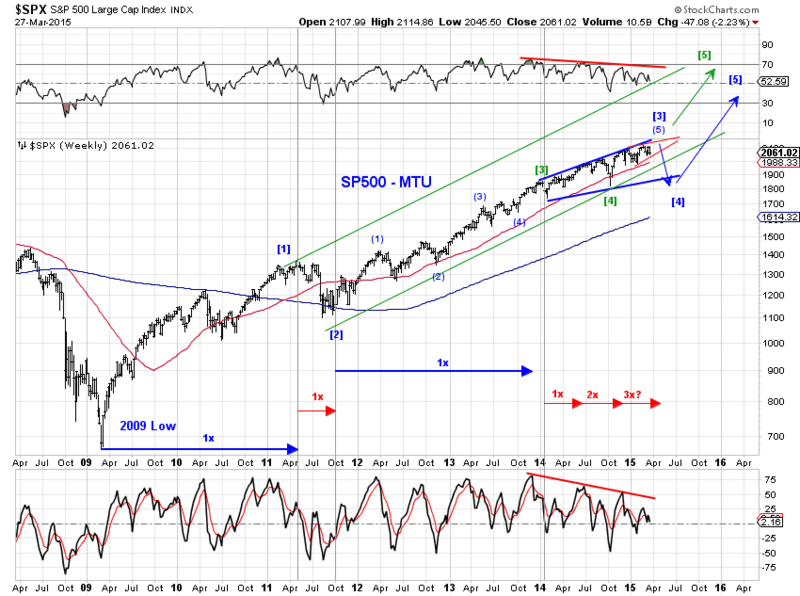 Under this interpretation, wave [e]-up is likely to push SP500 to new record highs (perhaps around 2150) in 2015Q2. 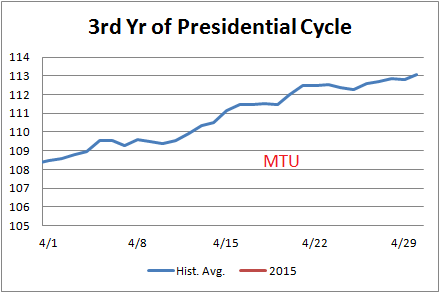 In addition, the month of April has been exceptionally supportive of stocks from the perspective of the decennial cycle and the presidential cycle. 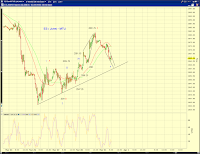 Chart S3 and Chart S4 illustrate. 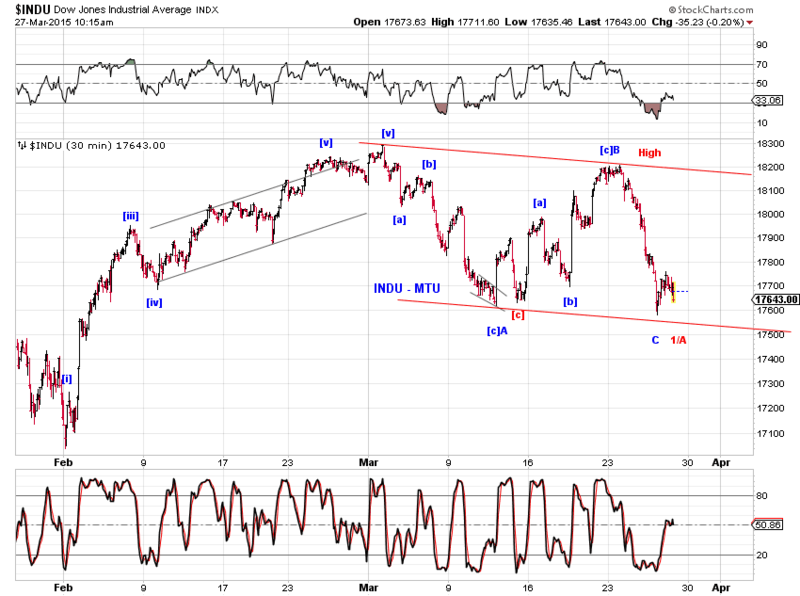 The bearish alternative scenario is that the proposed blue wave  (or C) topped out at either the February high or the March high. 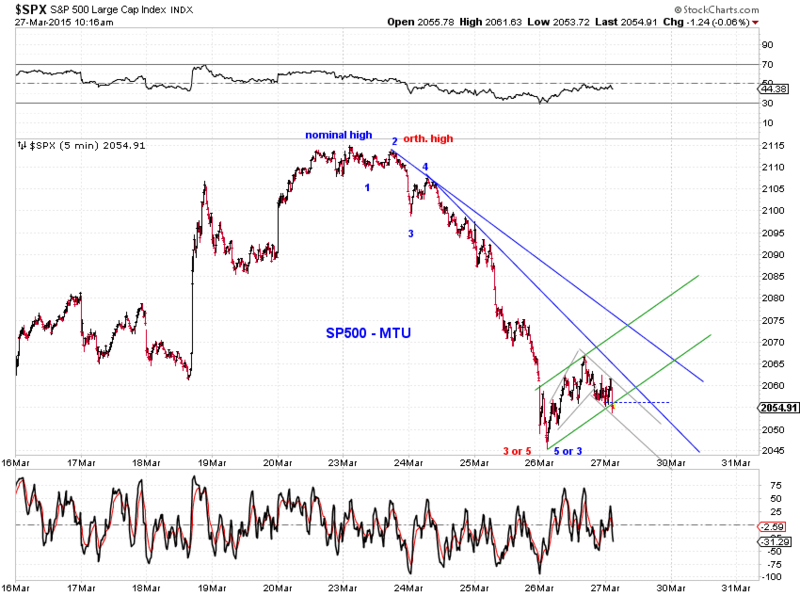 This is a scenario to keep an eye on, but appears less likely at the moment. 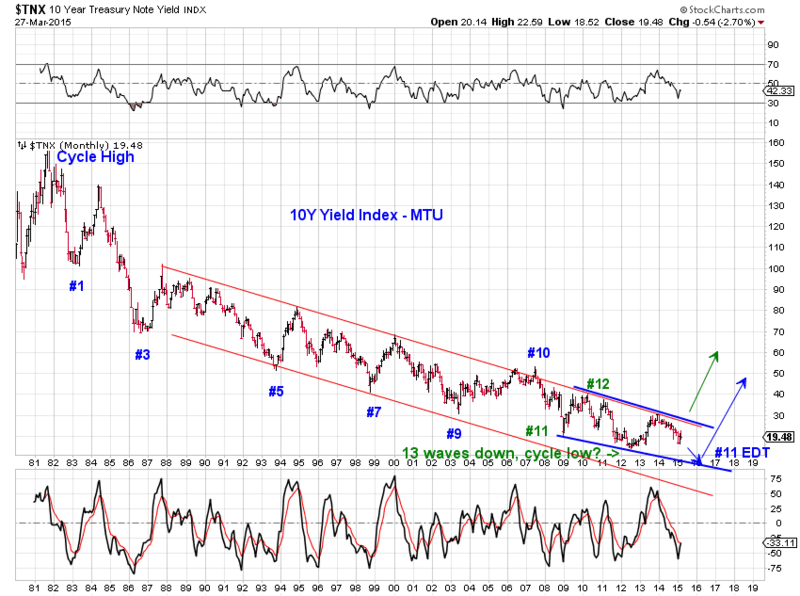 The two long term scenarios in the 10-year treasury yield index we’ve been tracking remain unchanged (Chart B1). 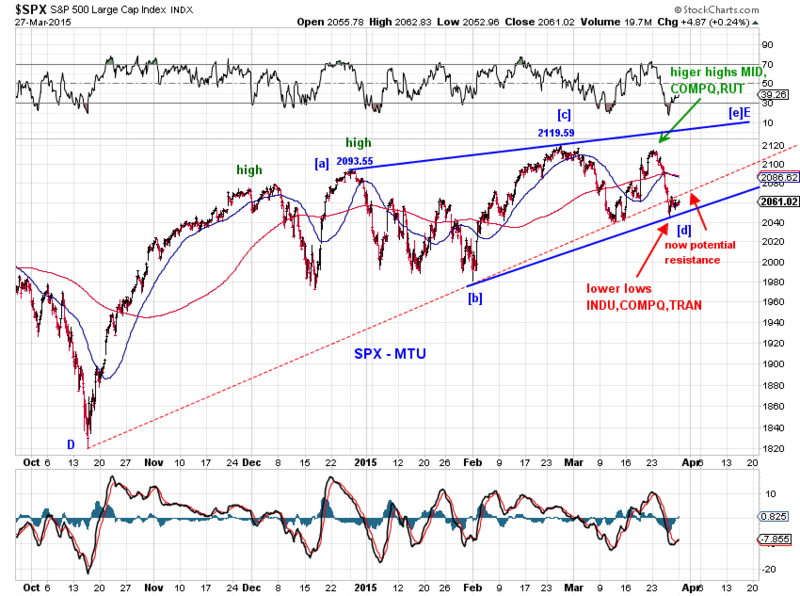 The blue count suggests a new record low in long-term interest rates to complete a multiyear EDT (blue wave #11). 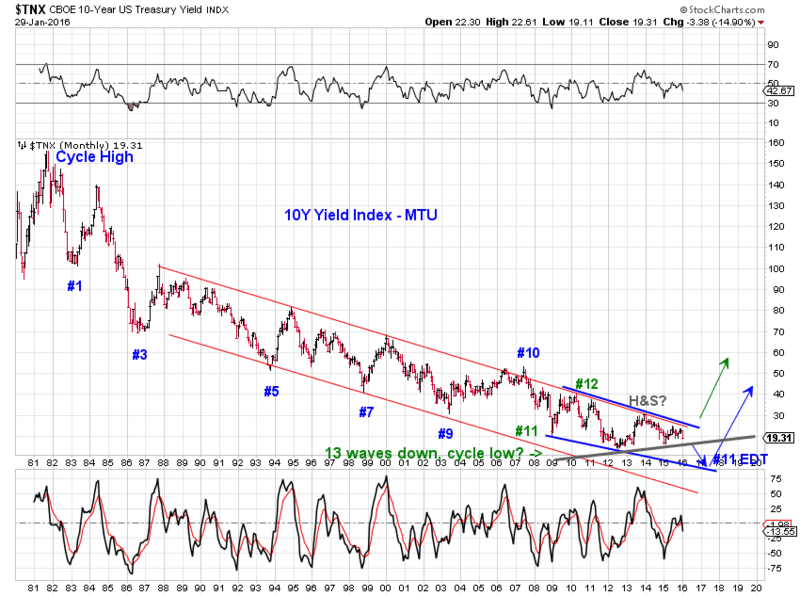 The green count saw a cycle low in long term interest rates had in 2012 (green wave #13) and long term rates trending higher over time (Chart B2). 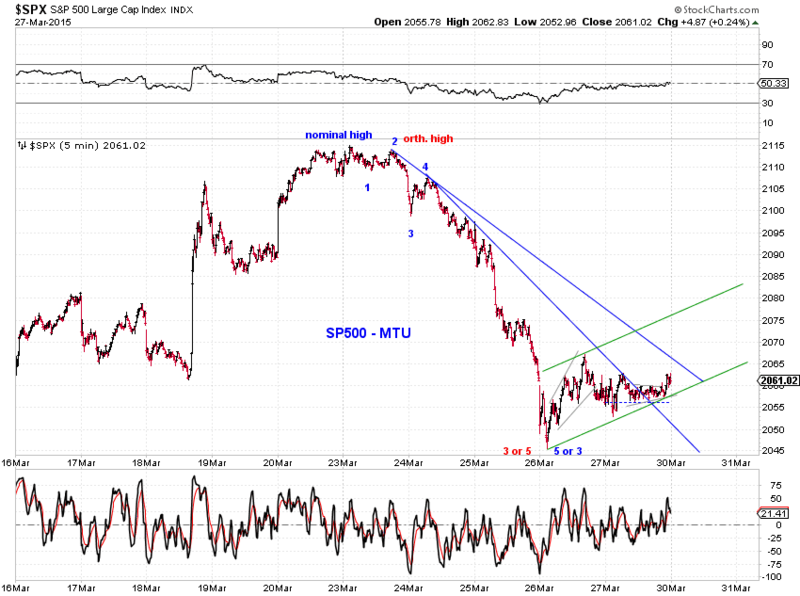 Price actions appear to favor the bearish (in price) green count. 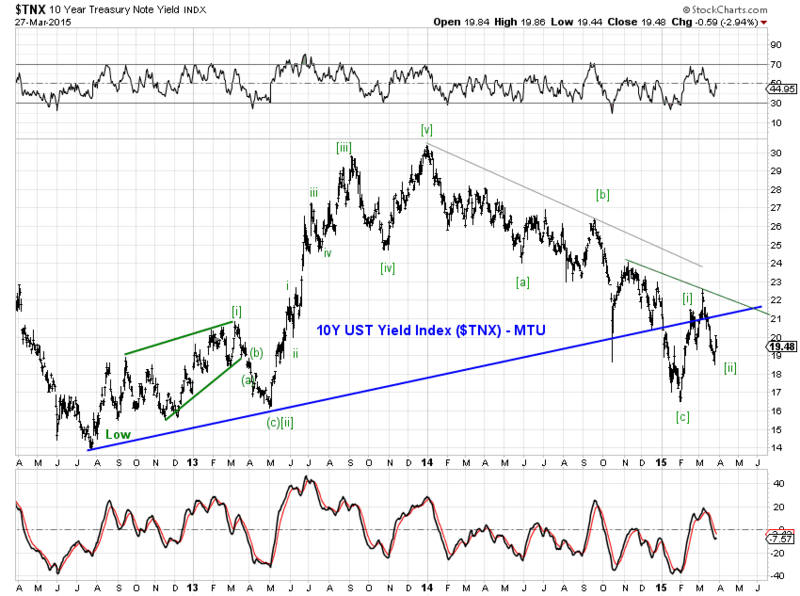 For the very near term, the March low in yields could see a retest. However, a retest or the absence of which has little impact on the two long term scenarios. 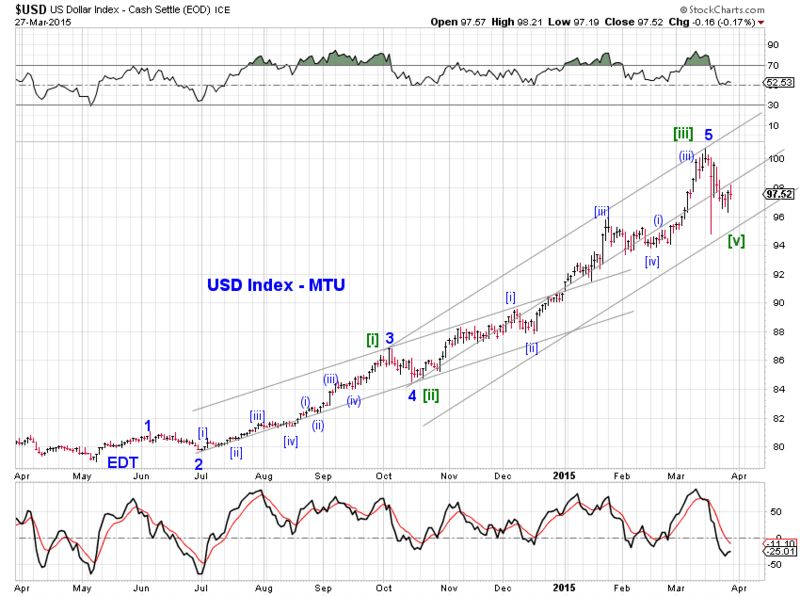 The USD index printed a topping candle in March (Chart $1) which appears to be supported by a potentially completed 5-wave run in the lower time frame (Chart $2 blue). 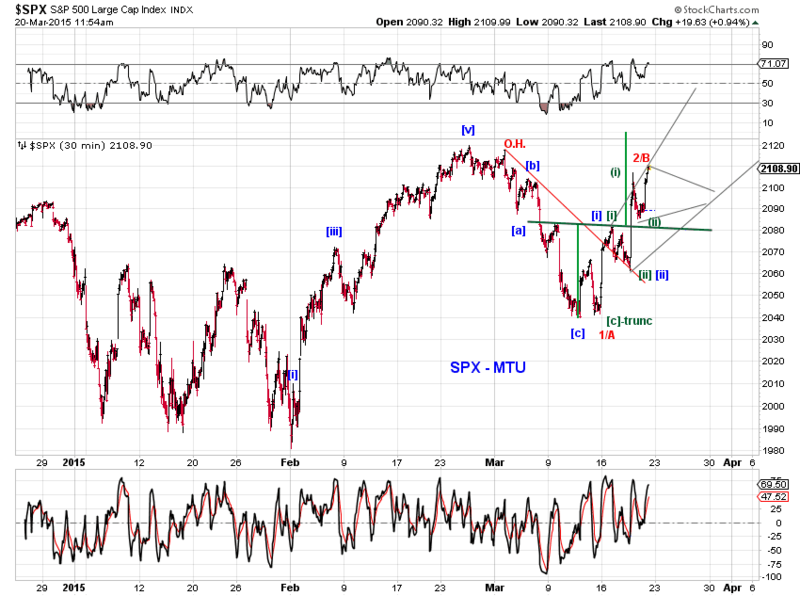 If a wave 4/D pullback is in progress (Chart $1 green), it can retest the 90 area or even the 85 area. 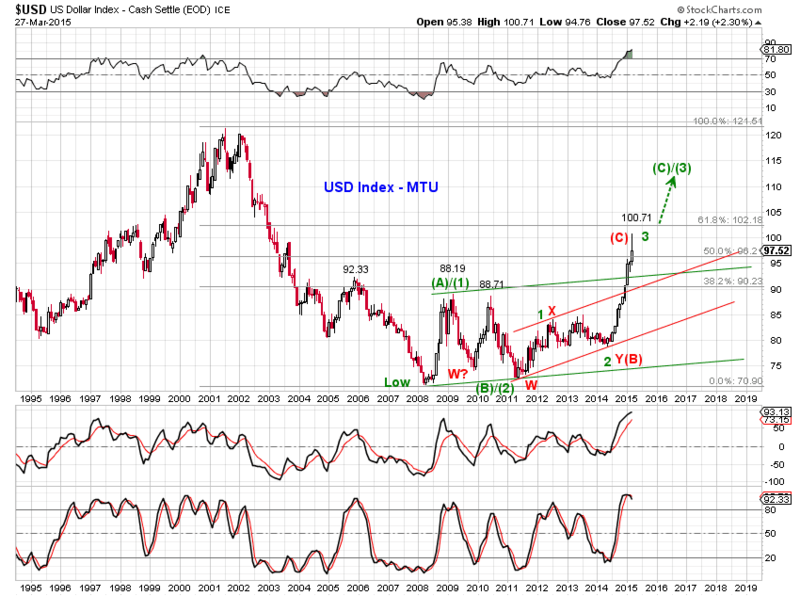 If USD is unable to break out of potential long term resistance (Chart $3) and has topped (Chart $1 red), a multi-year decline is likely. 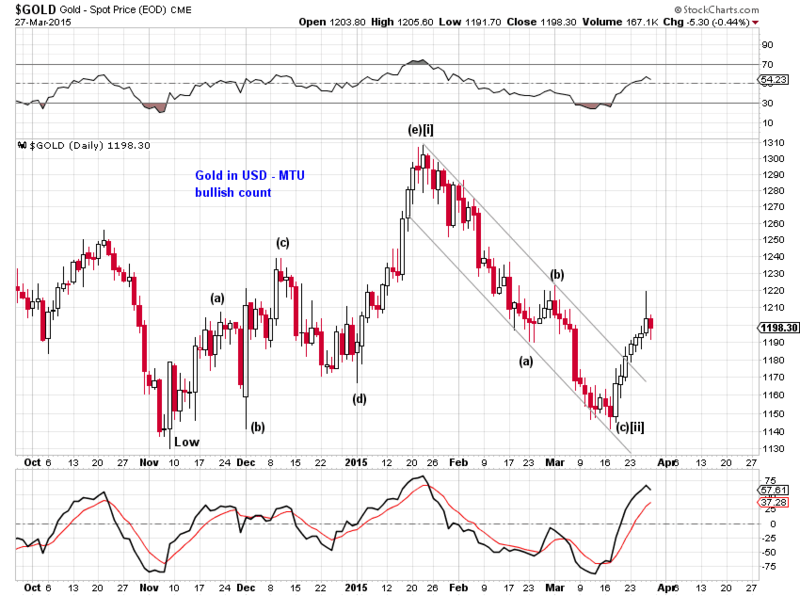 The 3 bearish and 1 bullish scenarios on gold (Chart G1) we’ve been monitoring continue to track. 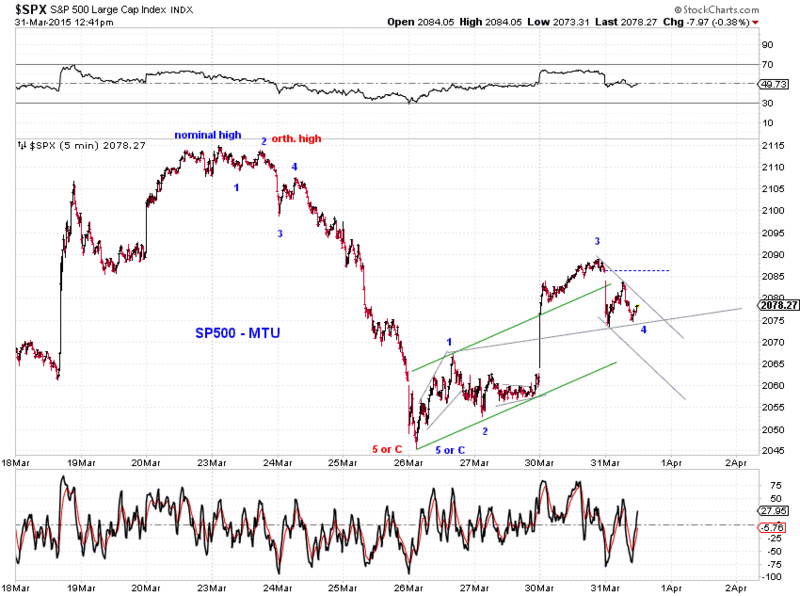 Under this interpretation, the $60 rebound off the March low is likely either a small-degree B-wave of the green wave C or the red wave C or a small-degree wave 2 of the black wave C on the bearish side. On the bullish side, the recent rebound can morph into a wave 3 (Chart G2). 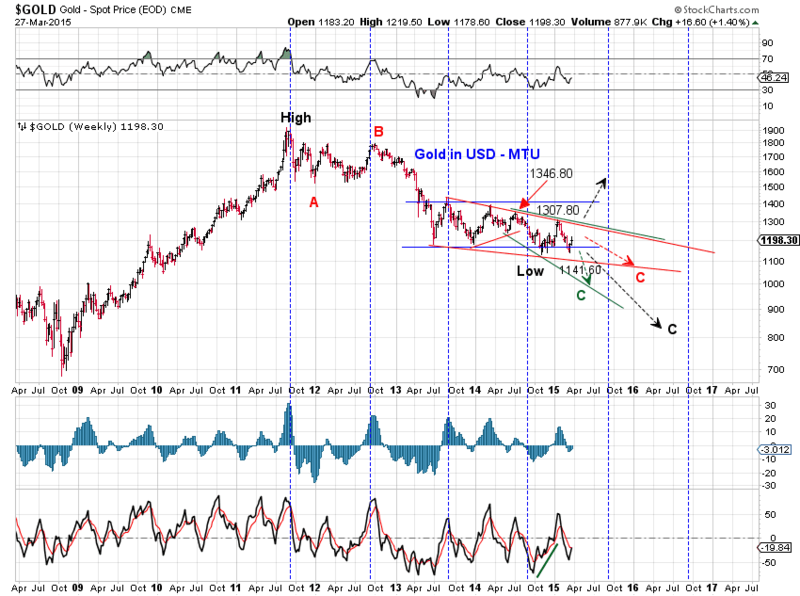 Let’s see which side Gold price breaks out, the 2015 high around 1308 or the March low around 1141. 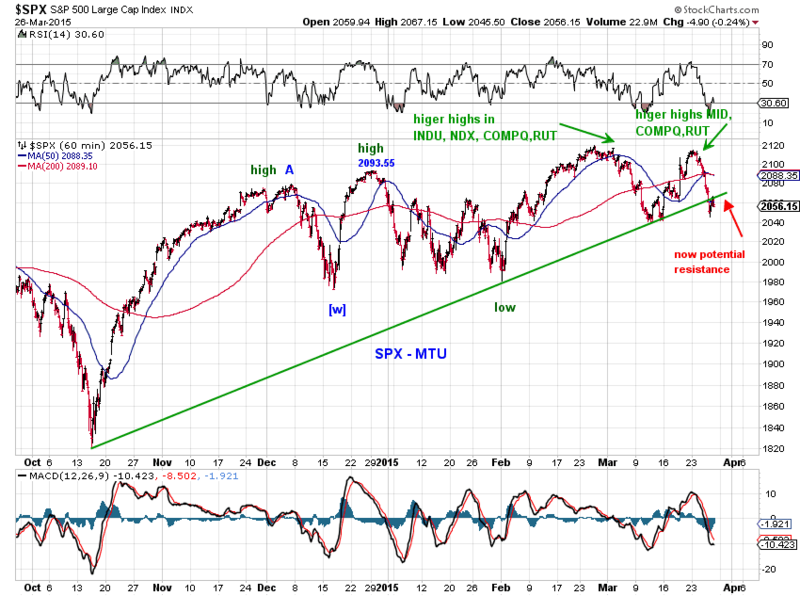 SP500 is struggling with the green trend line (Chart 1). 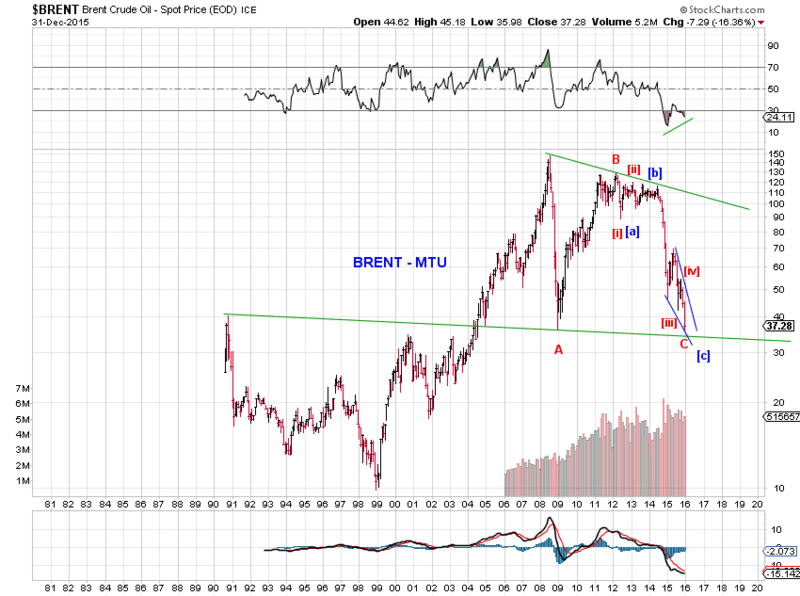 Squiggles reveals potential and uncertainty (Chart 2). 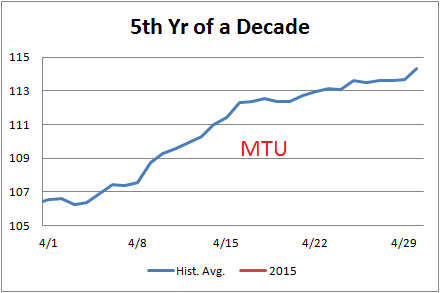 Chart 3 presents some tracking counts at a larger degree. 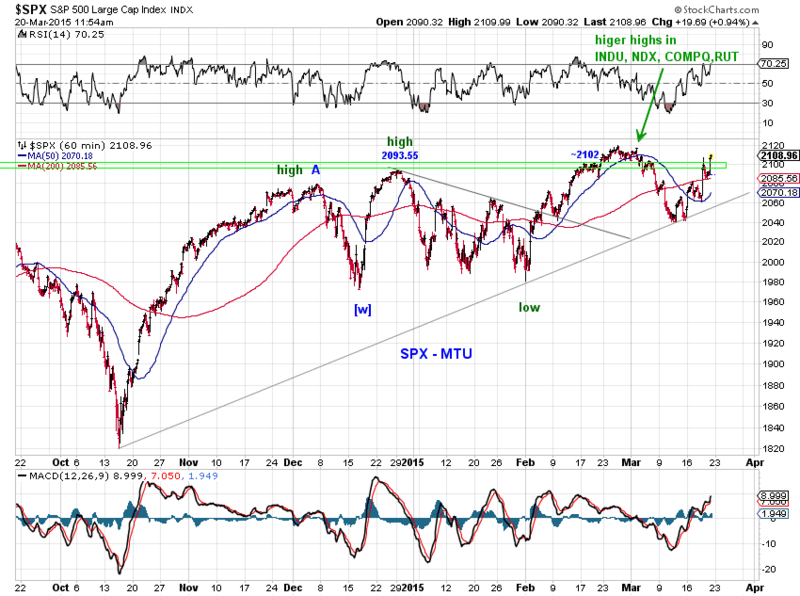 SPX probing MA50(2067) and the green support line. Also tracking counts at a larger degree. 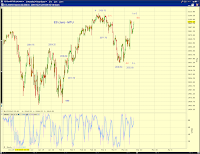 See charts. 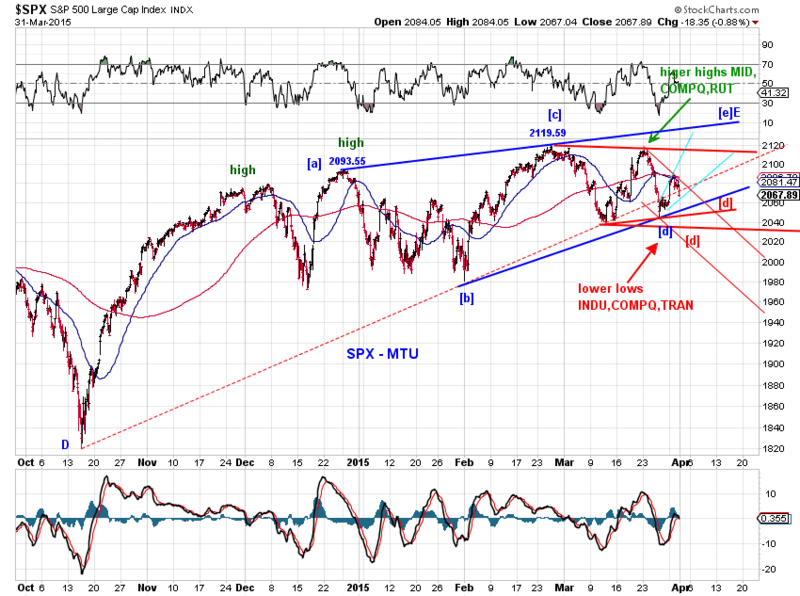 Stocks pulled back in a potential [d]-down and SP500 fills a gap. 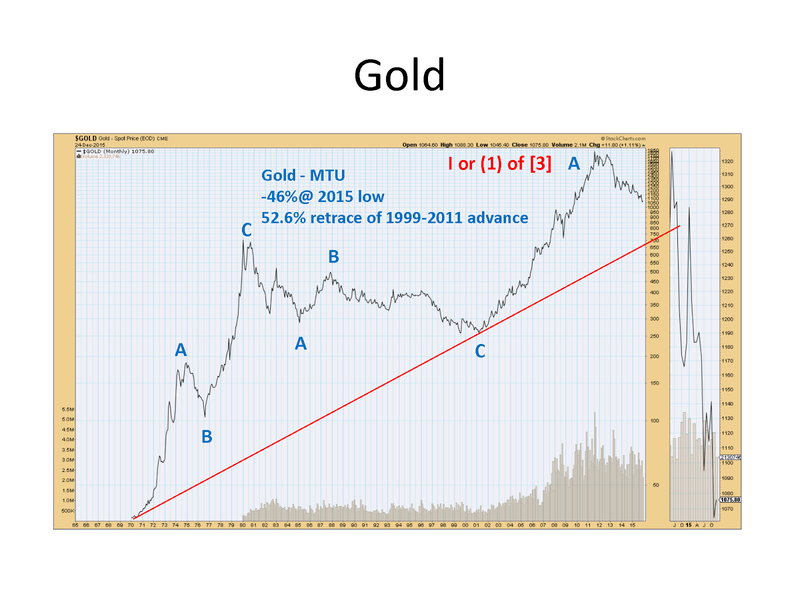 See charts. 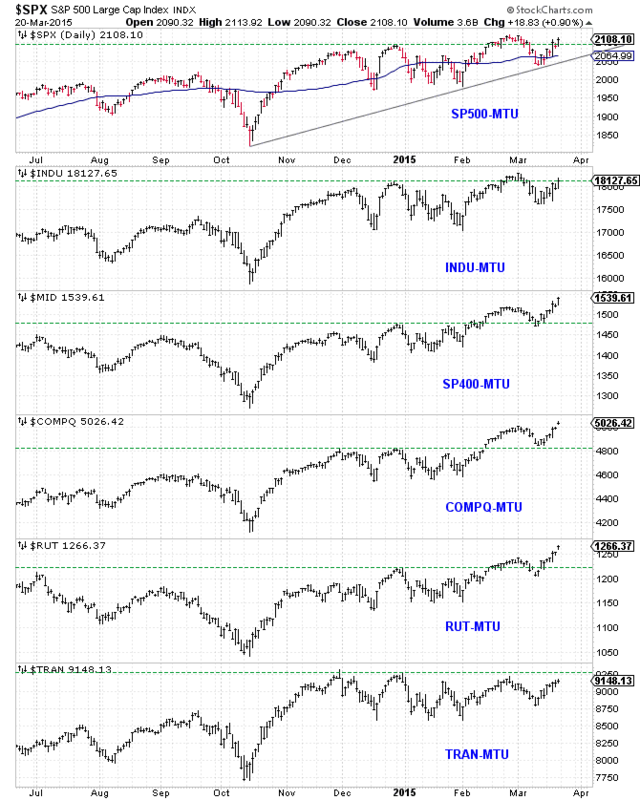 The strong advance in stocks this past week put an end to the pullback (See Pullback (3/6/15) and Pullback II (3/13/15)) that started at the turn of this month. 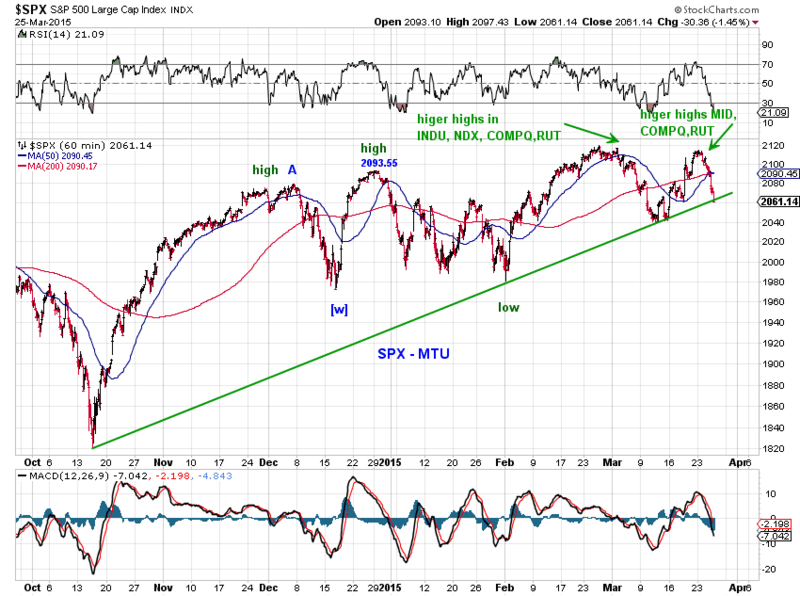 As of Friday’s close, a number of benchmark indexes have made new highs including SP400 (midcap) and Russell2000 (Chart 1). 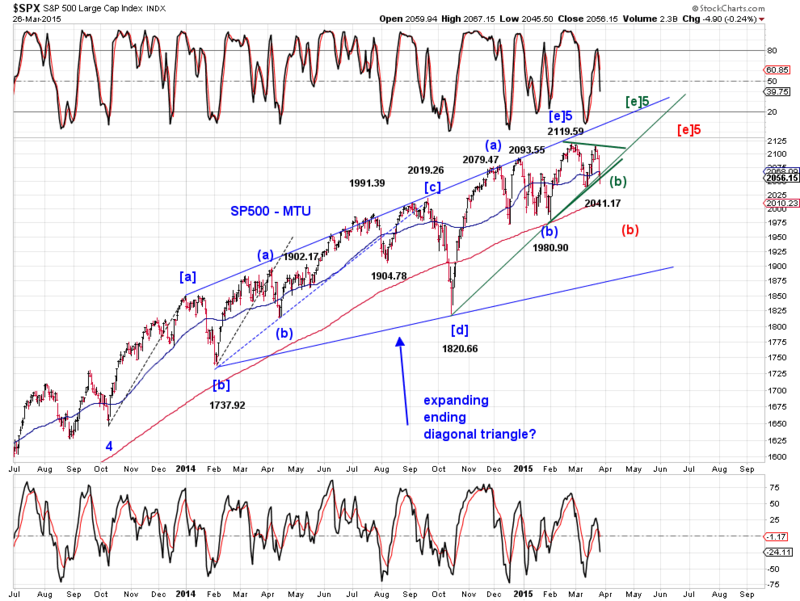 Odds now favor new highs in SP500. 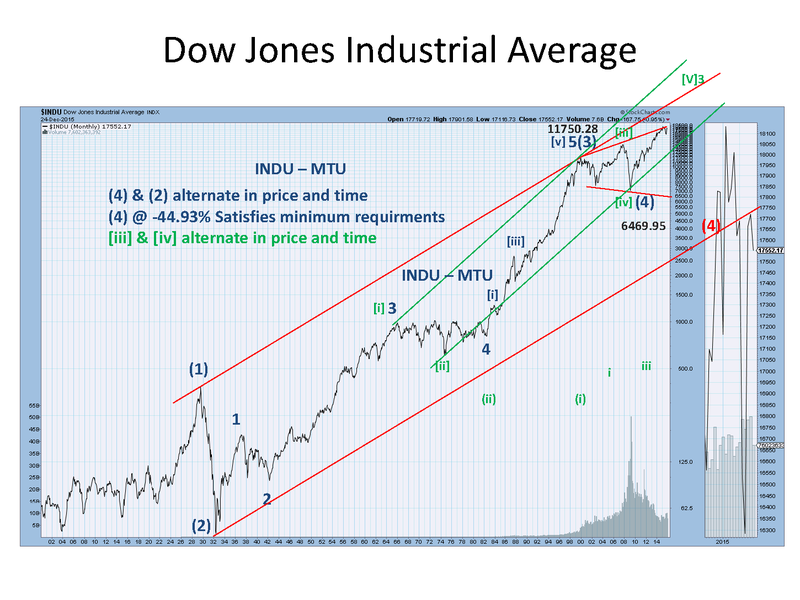 Price actions will reveal what to expect: a proper overthrow (Chart 2 blue, Chart 3 blue) or a more bullish wave (3) of  advance (Chart 2 green). If the blue wave  in Chart 2 is indeed ending, Chart 3 tracks its wave (5) as an expanding ending diagonal triangle. 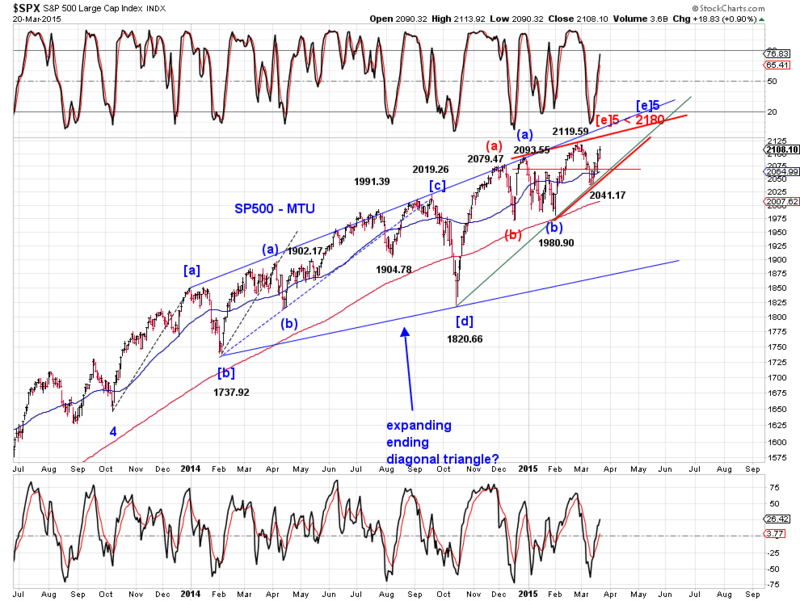 Note that the proposed EDT is now beginning to mature in both price and time. Interestingly, wave E of this wave (5) may be an ending diagonal triangle of the contracting version highlighted by the red labels, which caps the upside at 2180. 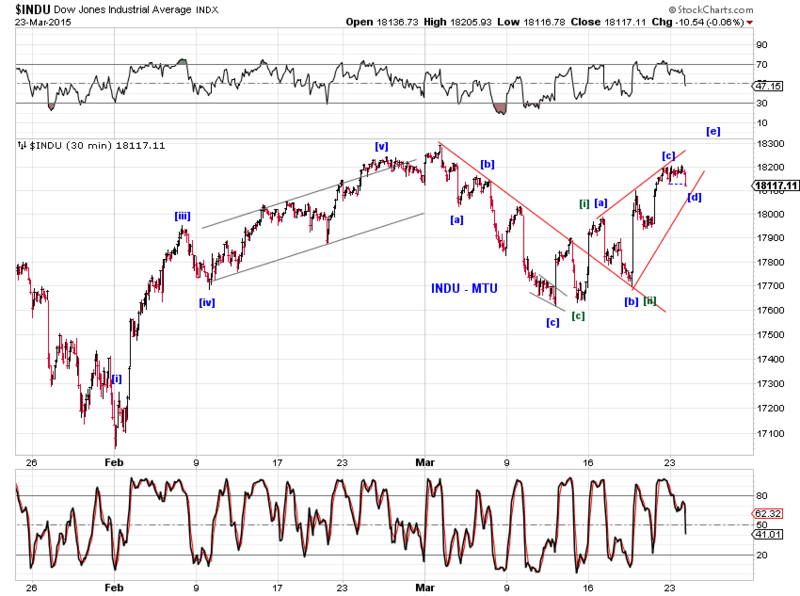 Alternatively, wave E could be a double zigzag highlighted by the blue labels, which can drag on for some time. 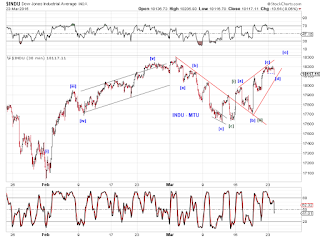 Prices of the two zigzags reach equality at about 2250. 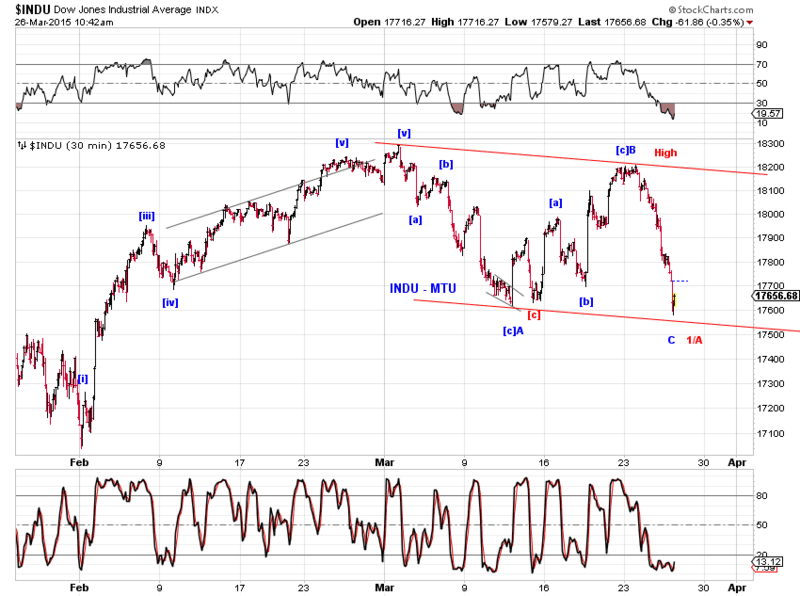 [red] bearish wave 2/B rebound - much less likely now with near highs in RUT and MID.